The supposed to be an edge of the seat film, this one revolves around a crooked cop Sameer (Prashant Narayanan) with a good heart who is neck deep into illegal encounters in cahoots with his childhood friend Jagga (Abhimanyu Singh). Renu Sahay, (Mrinmai Kolwalkar) a novelist is leading a happy life with Sameer Deshmukh, an encounter specialist until she discovers that he has been lured into corrupt activities by his childhood friend Datta Salvi( Abhimanyu Singh). Will Renu Sahay be able to get Sameer out of the illegal mess he has got himself into? Is there someone else who has been actually framing Sameer and Datta? The crux of the otherwise predictable story is whether Sameer will be able to make the switch from bad to good but before you are taken on a whirlwind tour of bizarre twists and turns. Basically an unduly lengthy and dreary film, this one has a semblance of a story but the screenplay is a total drag and wish washy and you wish the editor had made the film slicker and saved the audience from dreariness. As far as performances go, Prashant Narayan who is otherwise a damn good actor simply sleepwalks through his role as the role does not give him an opportunity to bite into it with his versatility. Abhimanyu Singh is good at his part while Anupam Shyam just flits in and out of the film vaguely as guruji . Vrijesh Hirjee has been miscast in a role which needed an actor with a serious image and he fails to pull of his role with élan and falls flat. 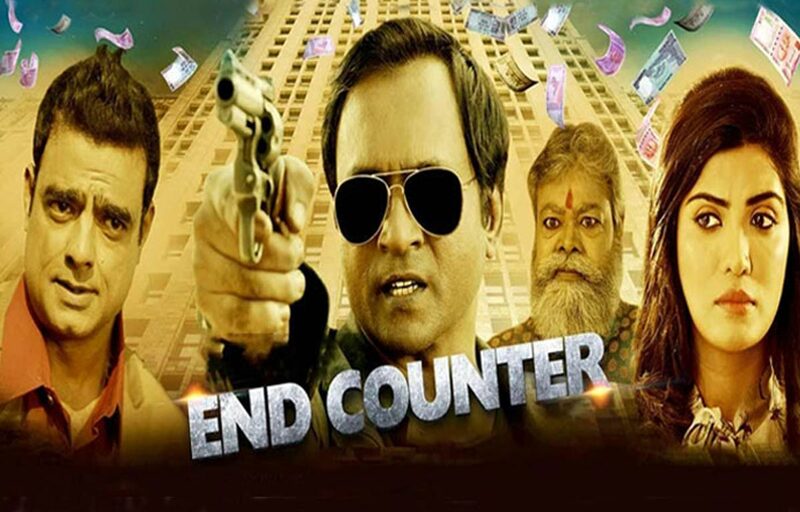 Though the film stars on a promising note, Alok Srivastav is not able to match the pace of the film as he the screenplay falls short and this film ends up a neither an encounter film nor a crime thriller and ends up as a dreary marathon.